University of Washington Press, 9780295974774, 488pp. Bounded on the east by the crest of the Cascade Range and on the west by the lofty east flank of the Olympic Mountains, Puget Sound terrain includes every imaginable topograhic variety. This thoughtful and eloquent natural history of the Puget Sound region begins with a discussion of how the ice ages and vulcanism shaped the land and then examines the natural attributes of the region--flora and fauna, climate, special habitats, life histories of key organisms--as they pertain to the functioning ecosystem. Mankind's effects upon the natural environment are a pervasive theme of the book. Kruckeberg looks at both positive and negative aspects of human interaction with nature in the Puget basin. By probing the interconnectedness of all natural aspects of one region, Kruckeberg illustrates ecological principles at work and gives us a basis for wise decision-making. 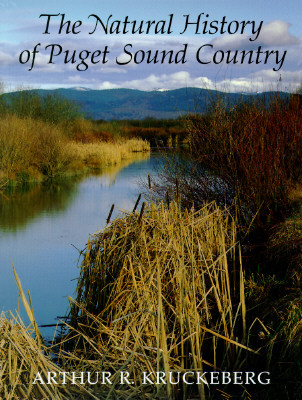 The Natural History of Puget Sound Country is a comprehensive reference, invaluable for all citizens of the Northwest, as well as for conservationists, biologists, foresters, fisheries and wildlife personnel, urban planners, and environmental consultants everywhere. Lavishly illustrated with over three hundred photographs and drawings, it is much more than a beautiful book. It is a guide to our future. Arthur Kruckeberg , a Northwest naturalist for forty years, is professor emeritus of botany at the University of Washington.